Product prices and availability are accurate as of 2019-04-15 05:50:26 UTC and are subject to change. Any price and availability information displayed on http://www.amazon.com/ at the time of purchase will apply to the purchase of this product. Sewing Cabinets Model 5400 Ultimate Sew & Serge Credenza. Dimensions: 45"(90" open)W x 19 3/4" D x 30 1/4" H. Opening is 27" x 14". Shipping Weight: 180 lbs. 5200 +3" wider. Electric Lift. Insert II System. Contour Laminate. 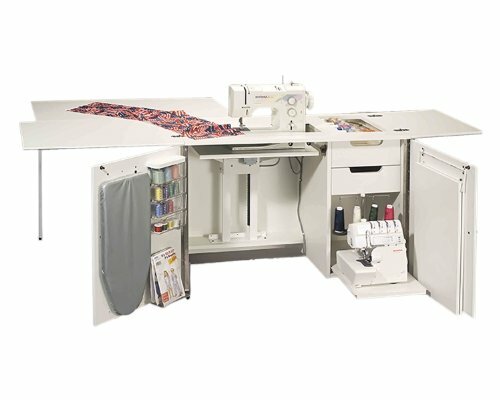 #49 Serger Table. Serger Pullout Shelf. Accessory Bins. Notions Tray. Auto Leaf Support. Measuring Tape. Drawer Glide. Piano Hinge. U-Casters. Color: White. 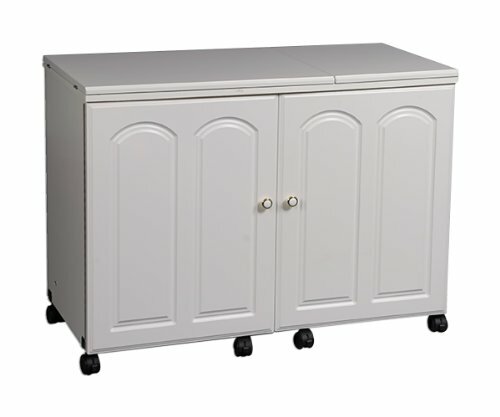 Fashion Sewing Cabinets orders are made to order. As a result, colors may vary. Units typically are shipped within 25 business days of order.